I remember the first time someone told me that I had chosen my life path before I was even born, I was incredulous, I thought they were nuts! Why would I choose this life, why would I not choose to be a Queen or a Movie Star? Why would choose to be born in the cold North of England and not the balmy South of France? I was about 30 years old at the time and just really beginning to hear that small voice inside crying out for love, creativity and community, and yet it took me until I was 42 to finally start listening. I began searching out the bigger truth in my life. I remember buying my first deck of Oracle cards “Ascended Masters” by Doreen Virtue, and being amazed by the accuracy of the messages. Instead of being freaked out I became more intrigued. I began to seek out books which helped explain what I was feeling, to try and understand why ‘coincidences’ kept happening to me. Why when I made an affirmation whatever I was affirming came true both positive and negative. I wanted to expand my view of the world, from just that which I could see with my own eyes to following my knowing. Knowing there is something bigger than us at work here. Believing we are all in some way connected. Understanding that intuition and manifestation were real and not imagined. Now at the age of 53 I am finally beginning to share openly what I have learned, what I know works for me and those who work with me. And to save you having in searching and reading for yourself I thought I would share from those who have inspired me. 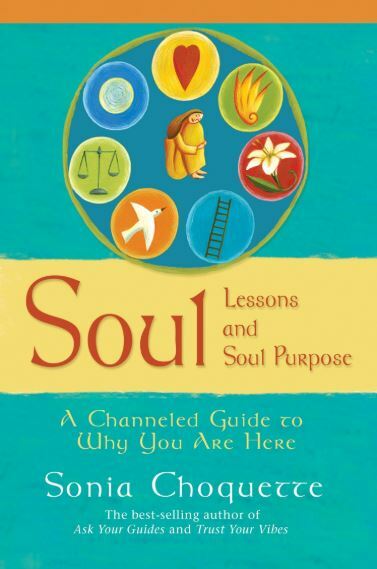 Sonia Choquette “Soul Lessons and Soul Purpose”. You are limitless and not defined by your body, personality, ego, your past or your future. You are a spiritual creative being, but your ego fights this truth in every way to keep control, it wants you to believe it is in charge. It is fearful and manipulative and will distract you from knowing your true self – it is that niggly negative voice you have in your head. Don’t try and get rid of your ego, because you can’t. Instead love and accept this troublemaker, laugh at its perceptions, its limiting beliefs. Know that if you are consumed with negative thoughts, fear or insecurities then your ego is trying to get control – don’t let it. Practice gratitude – be grateful for the things you love about yourself. Approve of yourself daily – you are amazing! Notice what brings you joy and make time for that. Remember you are being supported by the Universe, Source, Creator (whatever you may call it). So you limitless, amazing, creative being how do you want to show up in the world? Choose Love over Fear and let your ego have a rest. I can’t wait to see you embrace all you can be! PS if you would like to learn more about tapping into your intuition or becoming a master manifester I would love to share more – contact me.